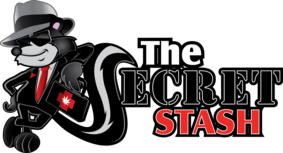 Welcome to the Secret Stash! We are the 5th licensed Medical Cannabis center in the state. We are entering our 9th year in business and continue to be locally family owned and operated. We pride ourselves on our comfortable ambiance and personal patient care; you’ll always be greeted by a friendly and caring Stash staff member. Inside you’ll find two private dispensing rooms that allow us to give our patients the individual care and attention they deserve. Our Bud Tenders are well versed on all the products we carry; Have a question? Don’t hesitate to ask! We hand pick our edible selection to offer the most potent and tastiest the market has to offer. Some of our favorite edibles currently in stock include Incredibars, Tincturebelle, and Cheeba Chews. We also offer online ordering for people who know what they want without the wait. Our special curing method allows us to provide some of the most aromatic bud in town. On your first visit, you are treated like a member by receiving member pricing; Grams starting at $4, Ounces starting at $99! We also offer purchase rewards; every point earned goes towards in-store credit! We are discreetly located right off Highway 24 with plenty of parking! 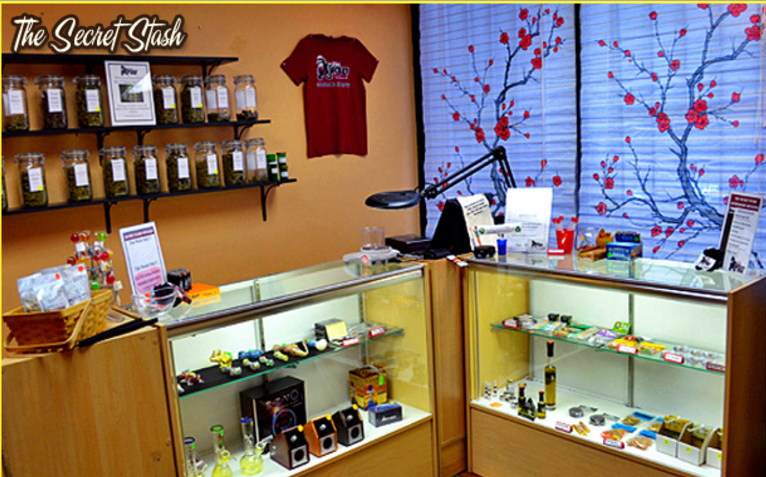 If you’re looking for a caring, comfortable environment to purchase your medicine from: Make a Dash to The Secret Stash Today!